Brett Culp is an acclaimed filmmaker whose work has inspired audiences around the world. He is the personal cinematographer for Hollywood stars, music icons, beloved authors, hall of fame athletes, and royal families. 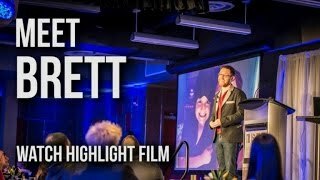 With his uplifting documentary film Legends of the Knight, Brett pioneered a ground-breaking approach to community building and relationship-driven engagement. The feature film successfully screened in theaters in over 100 cities across the globe without a single dollar spent on marketing or advertising and no paid staff. He inspired thousands of people to become community leaders engaged in a passionate mission. In the process, Brett developed an expertise for creating ‘mini-movements' that inspire the heroic spirit in everyone. 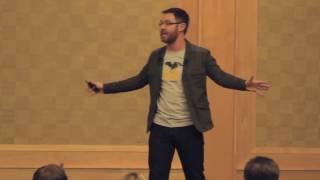 Brett's uplifting keynote speeches deliver practical methods for aligning teams behind a meaningful mission and creating growth through trust and genuine connectivity. His high energy programs are filled with touching moments, extraordinary filmmaking stories, humor, and insights about developing rewarding relationships through generosity and authenticity. His message impacts audiences on a personal level, motivating them to find the best within themselves and bring it to their world. Brett's work is on Netflix, iTunes, Hulu, and other top digital platforms. He has been featured in USA Today, Entertainment Tonight, WIRED, The LA Times, The Hollywood Reporter, Lifetime, WEtv, and many more. The newest edition of the college textbook Documentary Storytelling devotes an entire chapter to Brett's production style. Audiences will leave his speech with a renewed sense of hope for the future and belief that their efforts can make an impact. They will find themselves more in-touch with their own capacity for ‘everyday leadership' and equipped to inspire it in others. His message is perfect for groups seeking good news and desiring to be re-invigorated with purpose at every level.